Sad news that 1021 Wellington Crescent has been significantly damaged by fire. Here's a look back at its history. Part 1 will look at some of the families that have lived there over the decades. Part 2 is about its designer and builder Frank Lount. Note that this information is taken mainly from Henderson Directories up to 1965. Henderson's were not always 100% accurate in that it sometimes took a year or two for addresses to completely "catch up" to the owner. Also, in the case of this property, it seems that it may have served as two residences at times, likely the main house and a rental suite. This may also account for some of the overlap. This is not meant to be an exhaustive biography of the families, just sketches cobbled together from various newspaper articles to get an idea of who loved there. After 1960 the popularity of " society pages" and printing people's full address whenever they are mentioned in the paper waned. As a result, as the decades go on les material can be found on each family. Some families appeared in the newspapers a lot, others did not. If you wish to correct any details or add information, please email me at cassidy@mts.net. 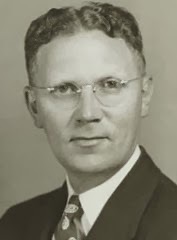 Fred Myer Sures was born in Russia and came to Winnipeg in 1906. In 1915, at the age of 20, he created the Canadian Shirt and Overall Manufacturing Company. In the early 1920s he and brother Nathan created Sures Brothers Ltd., a dry goods manufacturer and wholesaler at 248 McDermot. 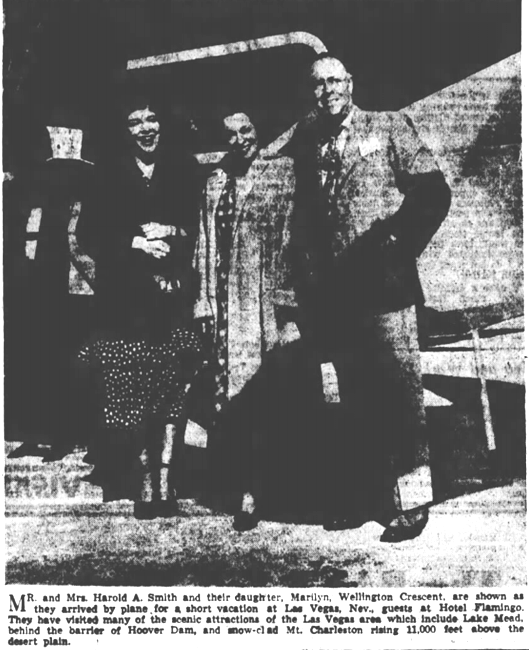 The company grew quickly after taking over a couple of bankrupt competitors, including footwear company Ames Holden McCreedy in 1925 and dry goods company R. J. Whitla and Co. in 1931. After the Whitla takeover, Sures Brothers were a major player in both the dry goods manufacturing / distribution business as well as the garment industry. In 1931 Fred also created the Radio Oil Refinery Company Limited. In 1933 the family, which consisted of wife Sarah and children Pearl, Elaine, Florence, Ethel and Joseph, moved from 177 Machray Street into the newly constructed 1021 Wellington Crescent. The house appears to have had an uneventful existence while the Sures' lived there, aside from a 1939 goldfish theft that annoyed Mrs. Sures. The Sures' were active philanthropists in the Jewish Community. 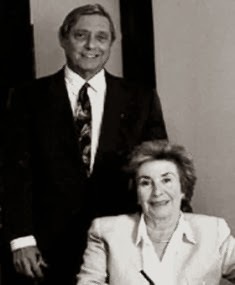 Fred, for instance, was a past president of the Free Hebrew School and a board member of Shaarey Zedek Synagogue. Fred died on December 21, 1937 though the family continued to live there into the early 1940s.. (Brother Nathan, company president, lived across the street at 1034 Wellington). In 1943 - 44 the Sures', vacated the property. Mrs. Sures moved to Harvard Street and Joseph moved to Campbell Street. Powell started in the grain industry in Winnipeg in 1915 and joined Hallet and Carrey in 1924, working his way up to president. In 1952 the company's name was changed to K. A. Powell. Powell appears often in the business pages in the 50s and 60s as he was appointed to numerous corporate boards, including the Toronto Dominion Bank and Labatt Brewery. He sold his company in 1970 to CanX Grain and died on June 13, 1982. The Harold A. Smith Family lived in the house by late 1949. 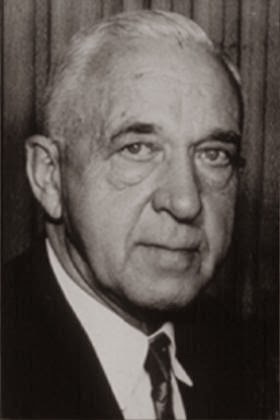 Smith was a son of Sidney Thomas Smith, one-time president of the Reliant Grain Company. After his death in 1947 the company was liquidated. In the late 1940s Harold was president of a company called Insul-Mastic, manufacturers of cork-based undercoating for cars. 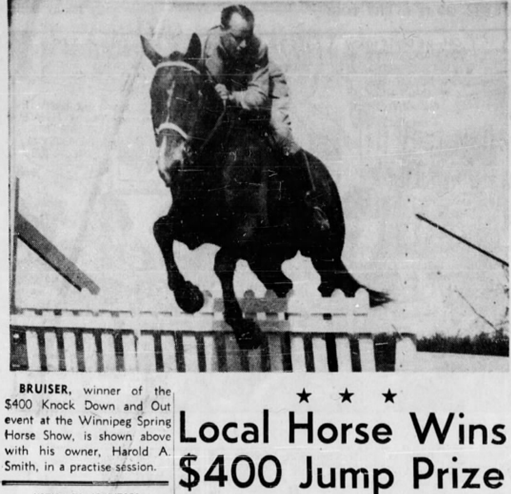 He was known as a sportsman and owner of Goldstream Stables. By 1950 the Smiths were pretty much out of the limelight and the newspapers. Son Clancy was away at school in North Dakota and eldest daughter Marilyn got married and moved to N. D. in 1950. The stables, too, seemed to disappear around 1951. The family may have retiened ownership of the house for a few more years. 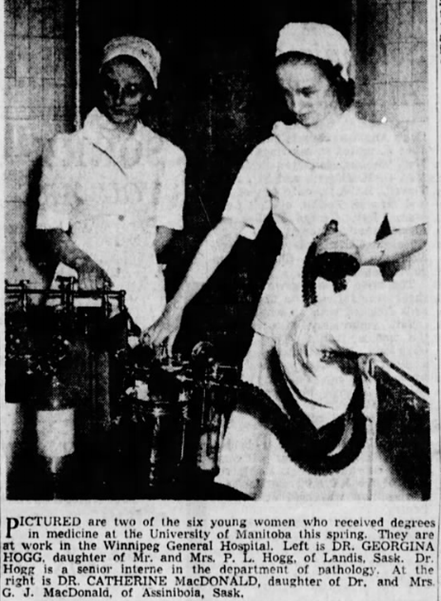 Georgina Hogg was from Landis, SK and came to Winnipeg to attend medical school, graduating in 1945. 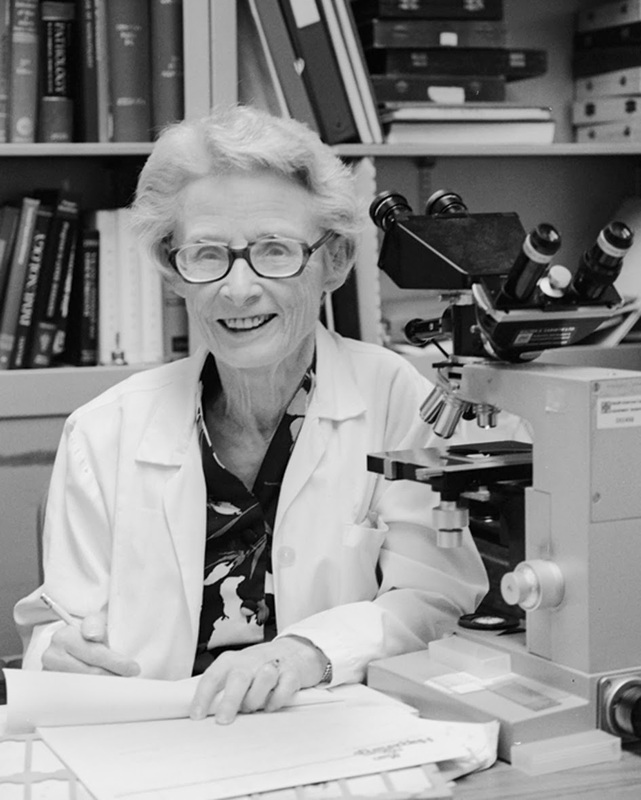 After an extended trip to the U.S., by 1953 she was on staff at General Hospital's department of pathology and a member of the faculty of medicine at the University of Manitoba. Her parents came to live with her at 1021 until their deaths. Hogg may have lived in the smaller suite as the Smiths are still listed in the Henderson Directories of 1955 and 1956 and she overlaps with the next owners by a couple of years. It appears that she moved out in 1961. Hogg became a senior pathologist with national stature and was made Professor Emeritus at the U of M in 1990. She died on April 21, 2002 at Victoria Hospital. Though Investors Syndicate had been around since 1926, its first company president was appointed in 1946. He was Theodore Peterson who had been with the company since 1930. Peterson and his wife had one daughter, Jonina. In 1966 Peterson was replaced at Investors by Clarence Atchison and the family moved to Ottawa. Aubrey Halter was a lawyer and sometimes controversial land developer. Nola Brown was a writer and television personality. 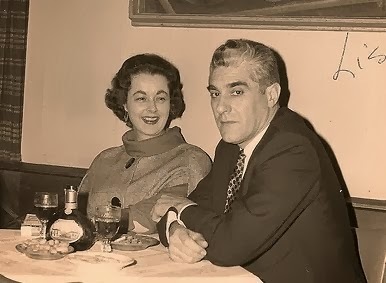 The two met in the late 1950s and were married in 1963. The Halters inhabited the house longer than any other family. They moved there In 1966 and raised three children. Dr. Reese Halter, a California-based conservation scientist; Jason Halter, a Toronto-based artist and art dealer. Daughter Diana lives in British Columbia. For more about the Halters, see The Halters of Winnipeg. For more about their time at the house see this Free Press story. In 1989 Graeme and Melanie Sifton purchased 1021 Wellington from the Halter Family. Graeme was a previous owner of the Winnipeg Free Press. They raised their two children, Micah Nancy Sifton and Trevor Klassen Sifton, there. 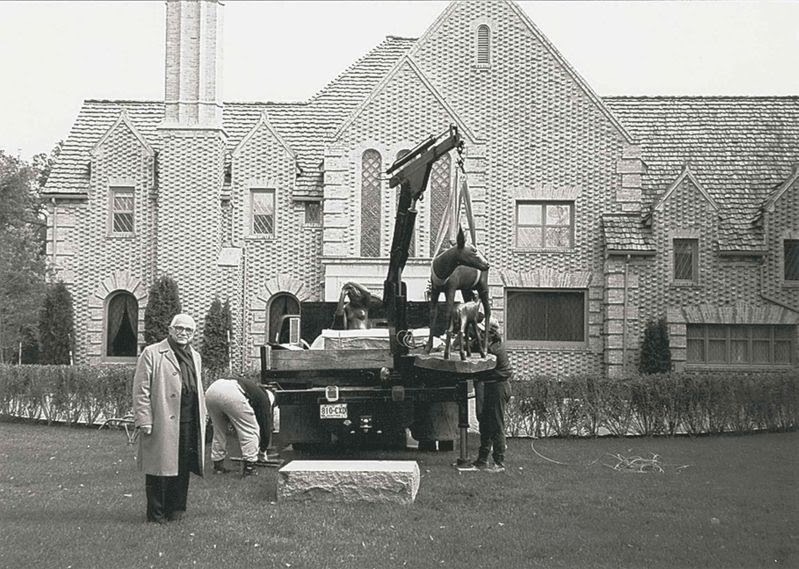 Renovations done to the home during their 15-year stay included the addition of a circular driveway and gateposts. 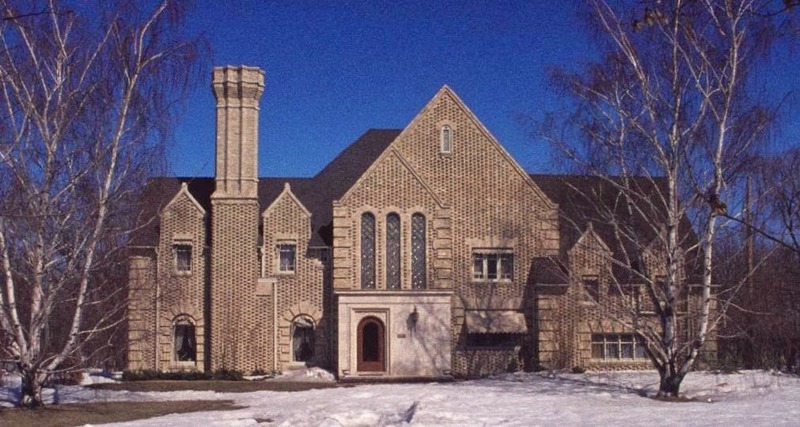 In 2004 the Asper family purchased the home, though news articles don't specify which of Izzy and Ruth Asper's three children owned it. The "more drawing of the renos" link is not formed correctly. Please update as I would like to see them. Wow, Izzy Asper died in 2003, pretty huge gaff in the research here. Good call Anon. Newspapers kept saying "The Asper Mansion" and the "Asper Family" and whenever I see that I think / assume Izzy. Correction made. This is one of few building posts where I go up to modern day because of these types of issues. It's actually easier to research families from 70 years ago than 10 years ago, I find. The Henderson Directories were a great resource but stopped publishing in the late 1980s. Newspapers often published someone's full address whenever their name was mentioned, but that practice trailed off in the 60s. Also, the old-style "social columns" were a great way of keeping up with family moves, engagements, memberships in social clubs and other activities - we don't keep that sort of record anymore. It's much better for privacy but much worse to find out who lived where etc. ! My grandfather was Harold A. Smith and my dad (Harold's Son, was Sidney Thomas Smith. I have many fond memories of the stories of 1021 Wellington Crescent and have films of this beautiful architectural wonder. So so saddened for the loss to the family because of this devastating fire. Prior to Izzy passing in 2003, he had just moved from 1063 Wellington (where a copper-roofed montrosity now stands in place of his nice rancher bungalow) to a condo at 1 Wellington. I recall reading about David's place at 1015 Wellington (next door to the house that burned down) selling in 2006 to Daren Jorgenson and that David bought it in 1996. Leonard sold 1001 Wellington to an internet pharmacist also in 2006. Gail lives in Old Tuxedo near the park. Perhaps they owned 1021 as a business type of house for hosting meetings, guests, and functions without having anyone move in to it. Any information known on what the cause of the fire was? I am very curious what the interior looked like prior to the renovations. If there was a lot of beautiful woodwork and a grand staircase, then the recent renovations must be considered a total abomination. I was horrified. Whey do people preserve the exteriors of historic buildings and then utterly destroy the interiors. It is disgusting. Found these links recently and despite my earlier thoughts on how odd the replacement home (designed by the same architect who modernized the original home) looked with being off-centre on the lot (likely to accomodate a six car garage and due to the home being shaped like a trapezoid/quadrilateral), it's stunning inside. Much like the recent activity on the site of 17 Harvard, it's obvious why homeowners want to start fresh with modern construction techniques and energy efficient materials. Metal cladding is very fire-retardant which I bet is why they used it on Wellington. Beautiful views of the river through all those walls of glass. I am glad to see what was built was to a high spec. If you take a drive by it or go on Google streetview you'll see they have a nice feature that pays homage to the old house. There are three large rectangular windows on a massive tyndall stone wall facing west by the front door. Though not made of glass block, they remind you right away of the three arches above the front door of the old house. Good decision by the architect/owner.